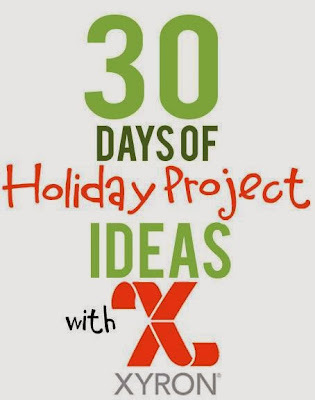 I've got another little holiday project to share with you today for the Xyron 30 Days of Holiday Projects feature. 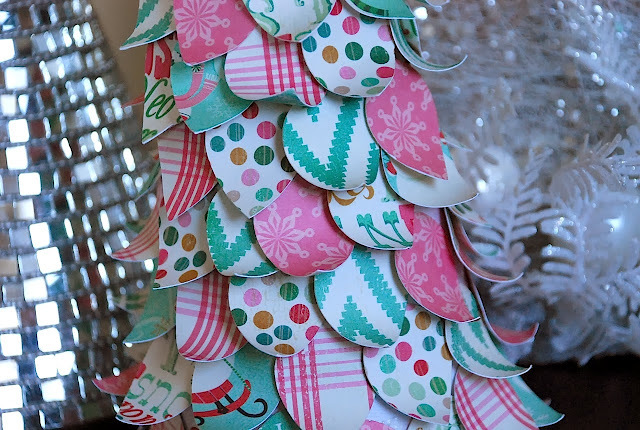 I created this Christmas tree from paper petals which I designed on my Silhouette machine. If you're interested in creating one of these trees you can download my FREE file HERE. 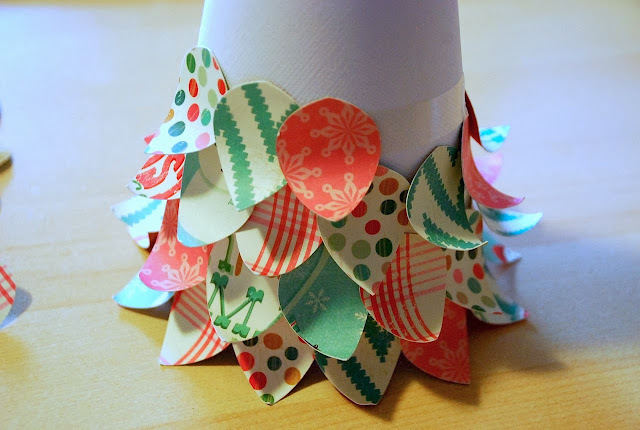 I took a piece of white paper (printer paper is a bit thin - so I used some non-textured white cardstock) and rolled it into a cone shape. I stapled the edges so that it would stay shut. After creating my cut file I cut strips (12" x 3") of patterned paper (Crate Paper: Bundled Up collection) and placed them on my cutting mat, then placed it through my machine. I then rolled the ends (pointy side) to make it curl. You can use a pencil, pen .. whatever works best to roll the edges slightly. 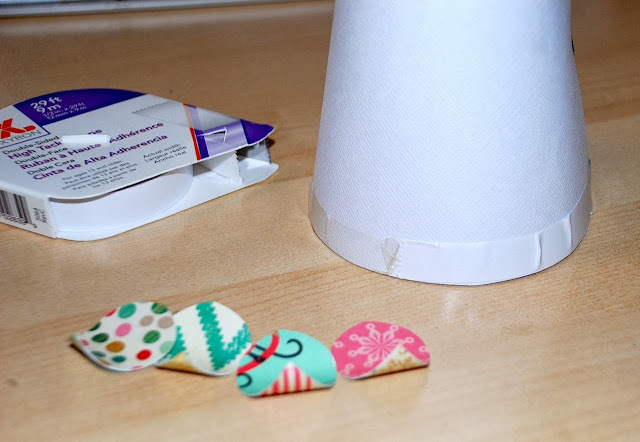 I then put some Xyron Double Sided High Tack Tape around the bottom edge. 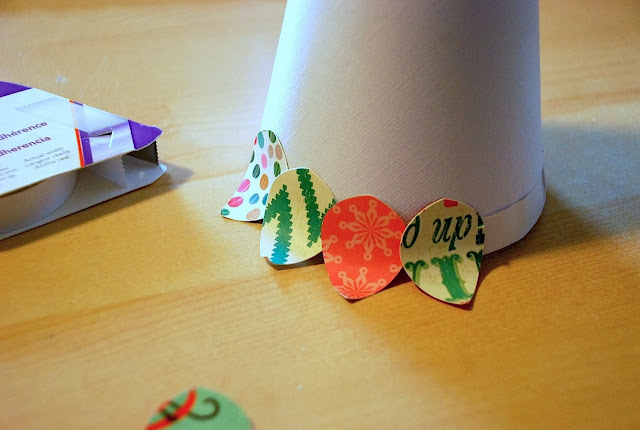 I peeled off the protective layer from the tape and then began adhering the petals around the bottom edge of the cone. When I began the 2nd row (etc) I just overlapped a bit and carried on with adhering a strip of tape around the cone and adhering the petals. 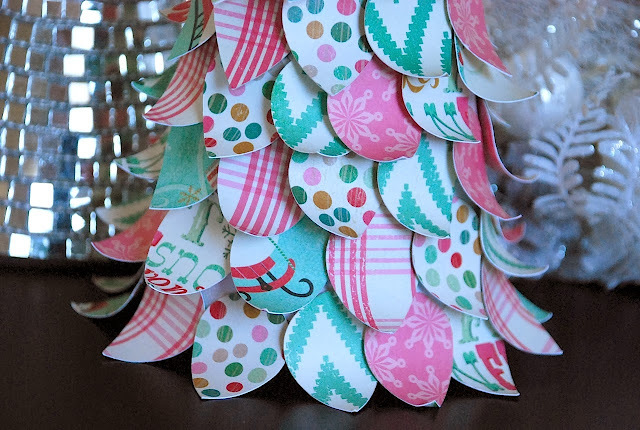 I just love the mix of patterned papers & the fun cheerful colors. 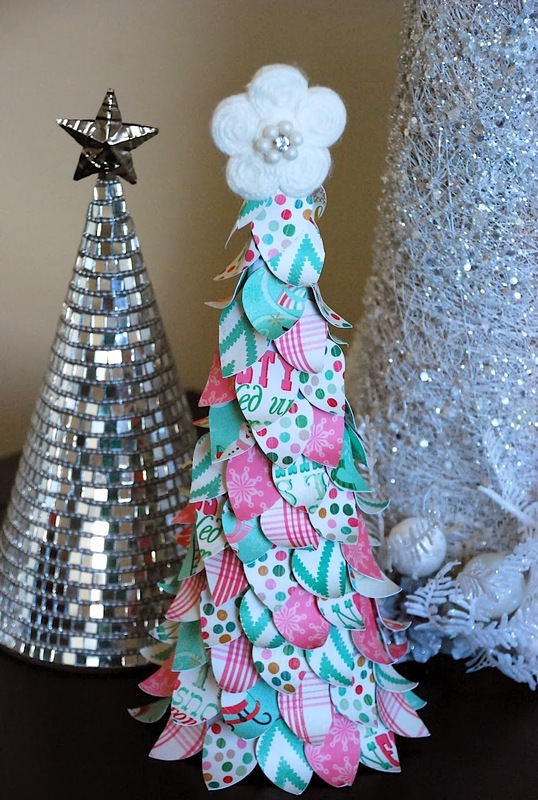 At the top of the tree I adhered 2 Maya Road flowers together using Xyron High Tack Adhesive Dots . 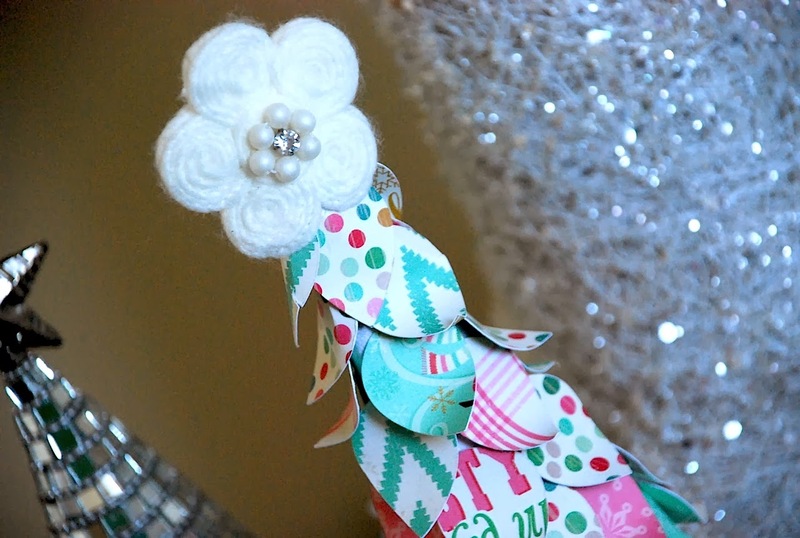 I made sure to press the flowers together when they were over the top edge of the tree. What an adorable project Cari - I love it!